Try our new Advanced Lift Chair Search which can help guide you to the lift chairs that are the best suited for your needs. Welcome to All Lift Chairs. Our site has been designed to help you find the perfect lift chair quickly and without the hassle. 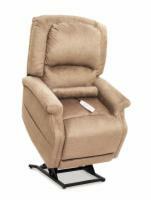 You are able to browse our entire liftchair selection by size, type and manufacturer. If you have any questions, our lifting chair experts can help. We are on call 7 days a week, and available on most holidays. 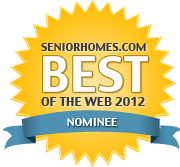 Simply call 1 (800) 285-2584 and we'll be glad to tell you more about any product you see featured on our site. Golden Technologies is a leading manufacturer of lift chairs. Every chair is hand crafted from start to finish in their plant in Old Forge, PA and has quality features not found in other chairs. If you are looking for quality, buy a Golden lift chair. Pride lift chairs do more than just serve a need. Pride lift chairs are designed to be an integral part of your home decor, a fine furnishing that you will use and enjoy for many years to come. Experts on duty 8am-Midnight EST, including weekends.